In the last week it so happened that I spent a lot of time working with RQM. I’ve created a number of templates in the process and I want to share the most interesting three here. 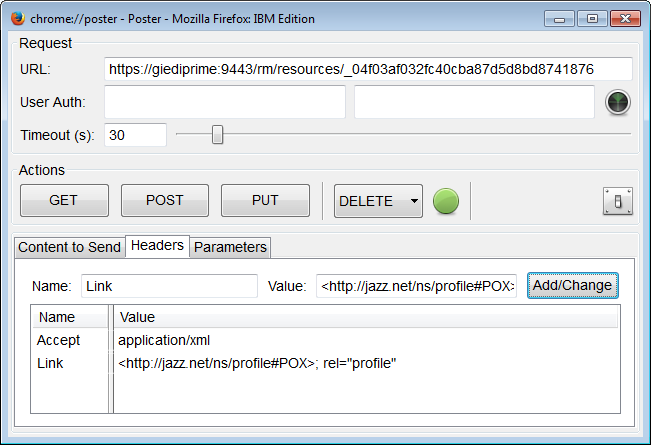 The templates were created and tested using CLM 5.0.2 and are available on the RPE Developer Works Wiki here. 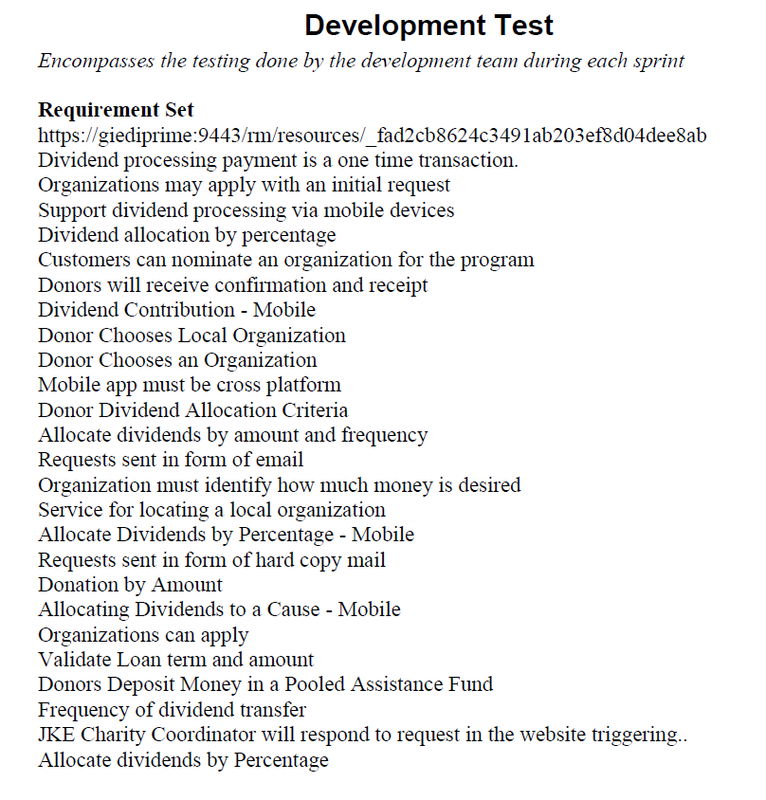 Prints basic information about the test plan and its test cases. The test cases are retrieved using the efficient QM native filtering which allows RPE to gets all the test cases associated with the test plan in a single request. 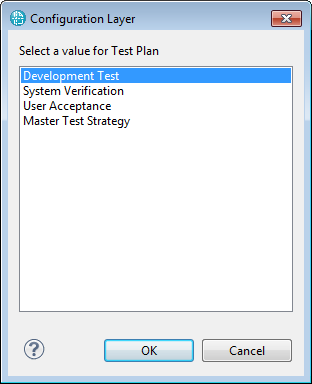 Note that the test plan data source has metadata information that allows the end user to select the test plan from a list rather than typing it. Prints the test plans and for each their state. The state labels are read from RQM instead of being inferred from the state identifier. 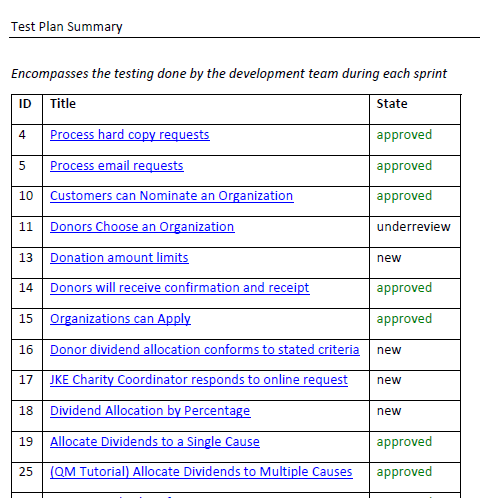 Prints basic information about a test plan and its linked requirements. The requirements are read from from the requirements collection associated with the testplan. Continuing the series of articles on the topic of creating traceability documents I have arrived at an interesting use case: traceability from DOORS 9 and RQM. In this article I will describe how to create a document with requirements from DOORS 9 and their associated test cases from RQM. 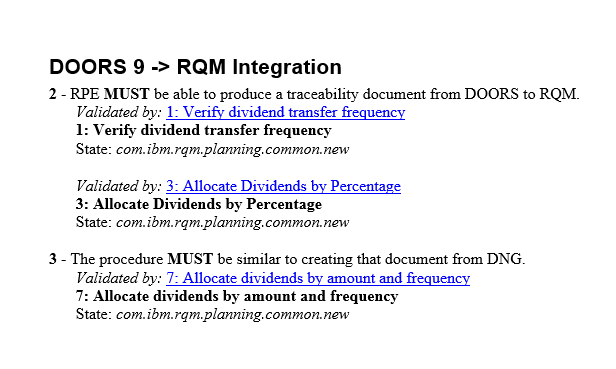 Continuing the series of articles on producing traceability documents from IBM CLM I will describe today how to follow links from RQM. 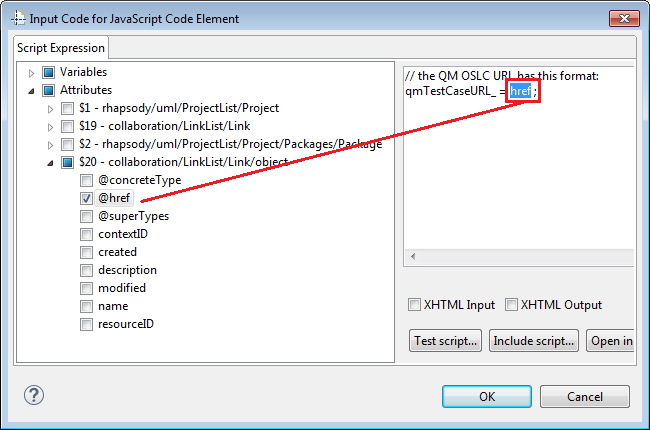 If you examine the RQM schema for testcase for example you will notice entries for workitems and requirements. With these properties it should be fairly straightforward to build a template that retrieves CM and RM data associated with the QM artefacts. 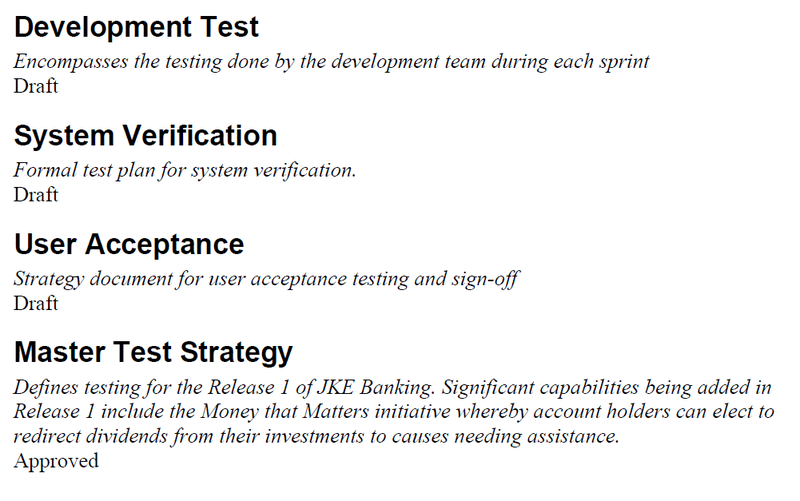 However if you run your report on a test case feed URL like https://giediprime:9443/qm/service/com.ibm.rqm.integration.service.IIntegrationService/resources/JKE Banking (Quality Management)/testcase?abbreviate=false there is no requirement or work item data in the document. 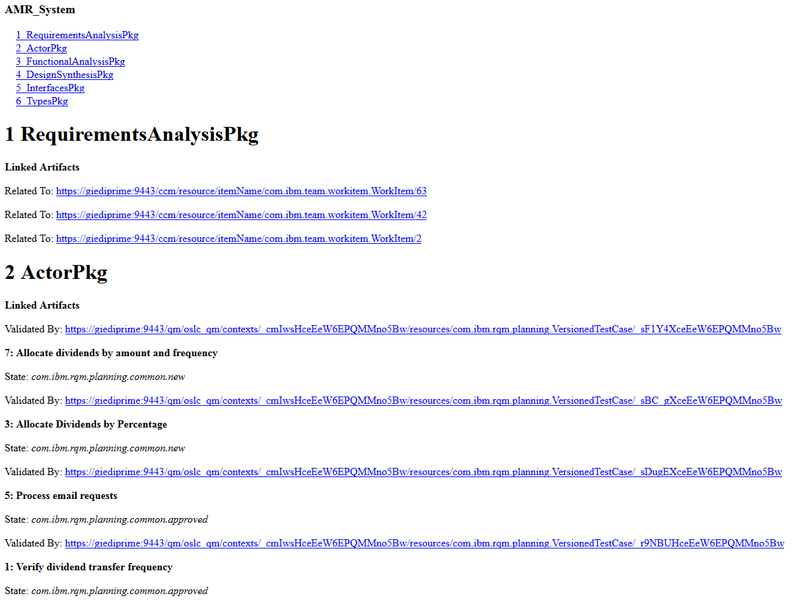 And if you examine the XML returned by RQM for this request you will see that information is not present there either. So what is the problem? The answer is in the Rational Quality Manager Reportable REST API Documentation. 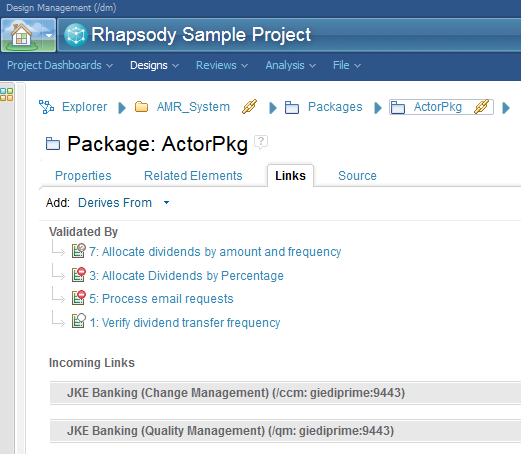 For efficiency reasons RQM does not return the link information by default. If you want to create traceability documents you’ll have to explicitly ask for the link information using the calmlinks argument in the request URL. 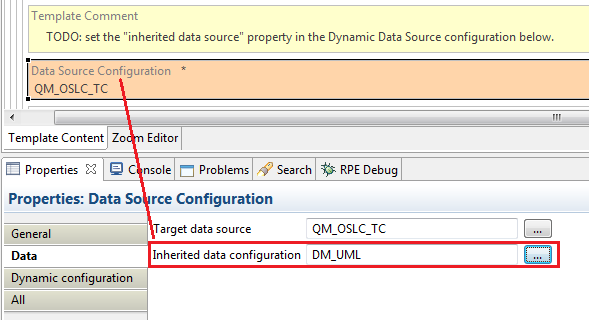 Note that the URLs to RTC and DNG are OSLC links and you will need to convert them to Reportable REST API URLs before fetching RM and CCM data. Examples showing how to follow links from individual testcase or from a test case feed are available in the RPE DevWorks – Cross Domains Templates Wiki.